This January, every click makes a difference. 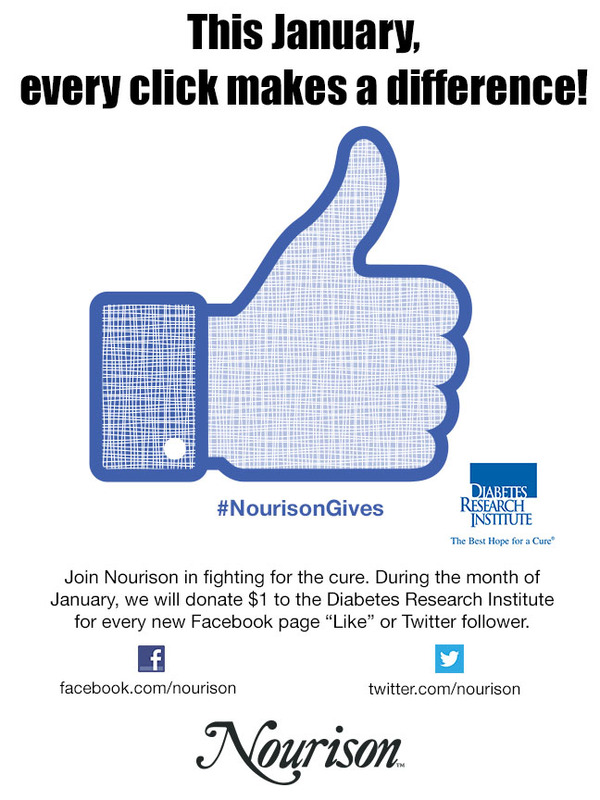 Starting January 2nd and running through the month of January, Nourison will launch a social media donation campaign to help fund the research efforts of the Diabetes Research Institute (DRI) to help find a cure for diabetes. Nourison will donate $1 to the Institute for every new “Like” or follower on the Facebook and/or Twitter page. There will also be a chance to win a rug and pillow coordinate. To participate in the campaign, “Like” the Nourison Facebook page (www.facebook.com/nourison), or “follow” the conversation on the Twitter feed (www.twitter.com/nourison). Help spread awareness by using the hashtag “#NourisonGives”. 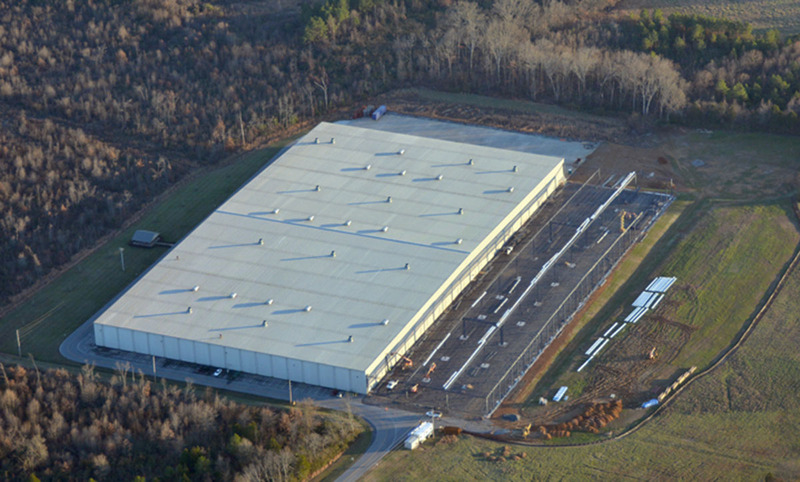 To donate directly to the Diabetes Research Institute, visit www.diabetesreseach.org. The Diabetes Research Institute at the University of Miami Miller School of Medicine leads the world in cure-focused research. As the largest and most comprehensive research center dedicated to curing diabetes, the DRI is aggressively working to develop a biological cure by restoring natural insulin production and normalizing blood sugar levels without imposing other risks. Researchers have already shown that diabetes can be reversed through islet transplantation, with some study patients living without the need for insulin injections for more than a decade. The Institute is now building upon these promising outcomes by developing the DRI BioHub, an integrated “mini organ” that mimics that native pancreas, containing thousands of insulin-producing cells that sense blood sugar levels and produce the precise insulin needed in real time. The Diabetes Research Institute and Foundation were created for one reason – to cure diabetes – which is and will continue to be its singular focus until that goal is reached. For the millions of children and adults affected by diabetes, the Diabetes Research Institute is the best hope for a cure. For more information, visit www.DiabetesResearch.org. Our Hospitality team had the pleasure of working with interior designer, Alicia Cannon, on a recent installation at the Hotel Indigo in Brooklyn, NY. 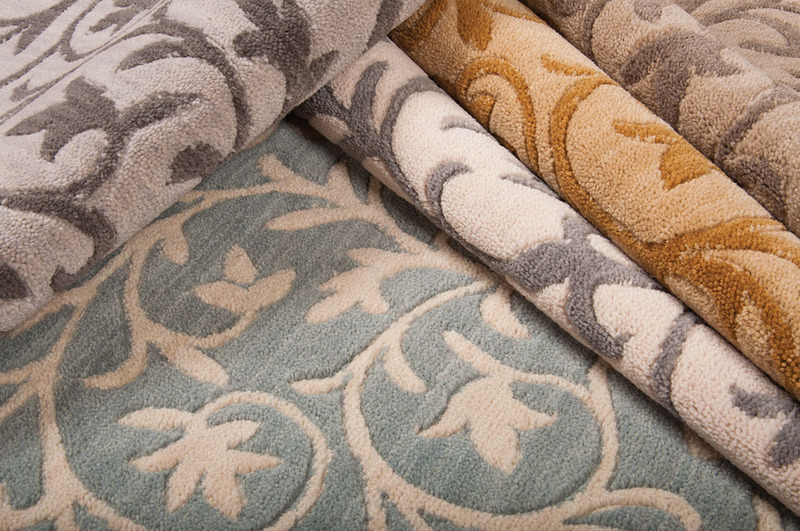 We sat down with her to learn more about her inspiration behind the new design, and what a rug does for a room. 1. Can you explain your overall design concept for Hotel Indigo? As a boutique hotel brand, each Hotel Indigo property is different, and the design aesthetic of each hotel speaks to the culture, character and history of its surrounding neighborhood. The brand encouraged us to pick up on the history of downtown Brooklyn. We played up the entertainment theme with an emphasis on the art and culture aspect, theater, authors and artists. There were some beautiful theaters that aligned Fulton Street and some very famous writers that lived in the neighborhood. Brooklyn is still famously known for their art and culture scene from Brooklyn Academy Art to the newly designed Barclay Center. We really wanted to reflect the art and culture element in the overall design by capturing the view by using murals. 2. Can you describe the type of mood you were going for with this design? This hotel was a smaller key count and a boutique location. We wanted to keep it unique and cozy, reflecting what the neighborhood was like when it was a center for artists and intellectuals. 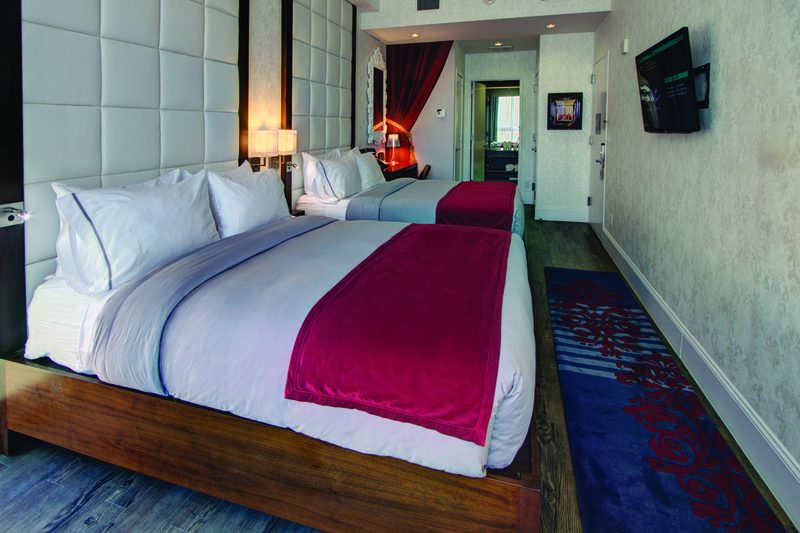 This is also the first Hotel Indigo hotel in Brooklyn, and we wanted to bring the borough back to its romantic roots. 3. In your opinion, what is the great thing about adding a rug to a room? Adding a rug to a space is great way to add a layer to the surface, create texture, add color and give a graphic pop of inspiration. 4. What about this design stands out? I love the carving technique of the flur de lis pattern and the stripe detail that layers its background. It gives the illusion the pattern is almost floating. 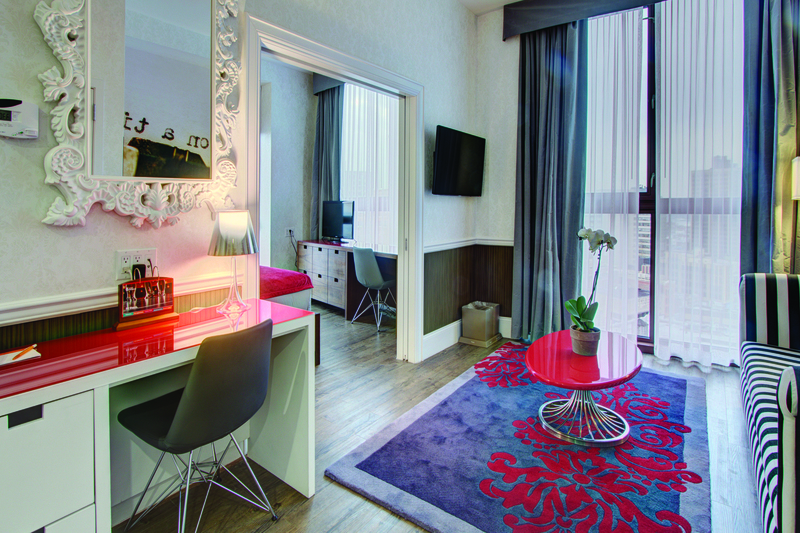 The pop of red is so incredibly vibrant and adds such a rich punch of color to the overall scheme of the room. 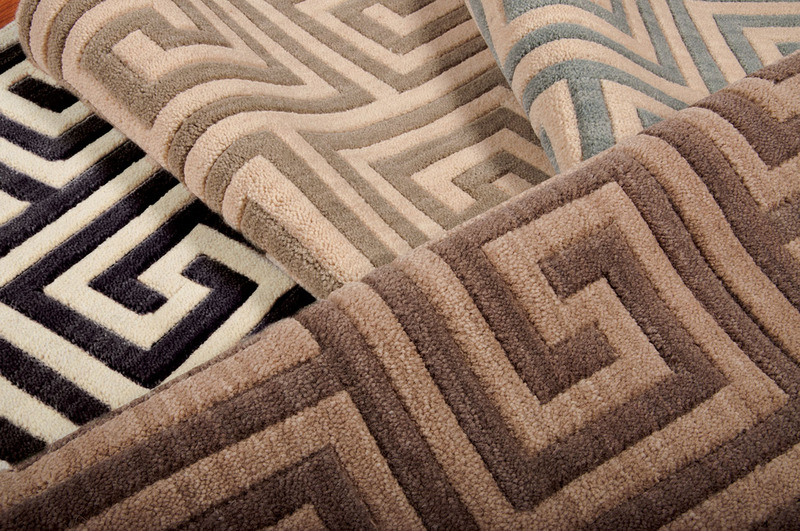 This January, a new collection will be introduced in our Atlanta Rug Market showroom in January. 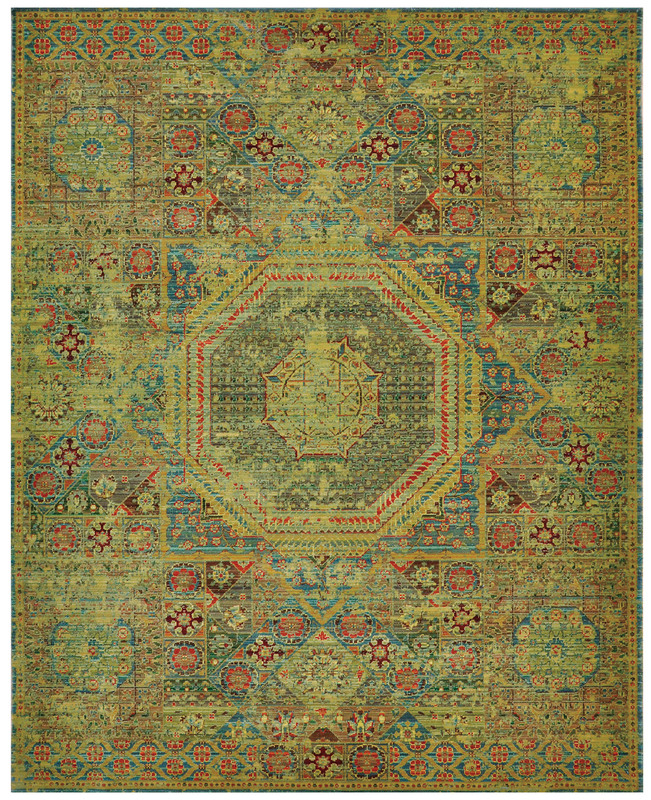 Fourteen rugs based on the superb designs of Eastern origin dating back to the 15th century and now residing as artifacts in outstanding private and museum collections. We bring you the Timeless Collection. A 17th century Armenian rug. A 16th century Mamluk, which is currently in the royal manufactory in Istanbul. A 17th century Dragon carpet from Azerbajian now in the Metropolitan Museum of Art. A 15th century Caucasus rug now in the Berlin National Museum. A 17th century Vase carpet now in the Rjiks Museum in Amsterdam. Visitors will have the chance to see the collection exhibited in a museum setting in Atlanta right next to the Nourison showroom, #3F3. It certainly will be an historic site to see.